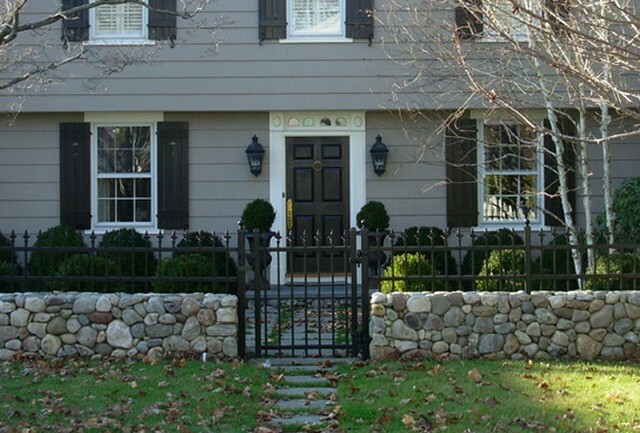 Problem: This rock outcropping in the backyard of a Greenwich English Tudor had been neglected for several years. Numerous overgrown trees and invasive plants had taken over the area, hiding the natural beauty underneath. 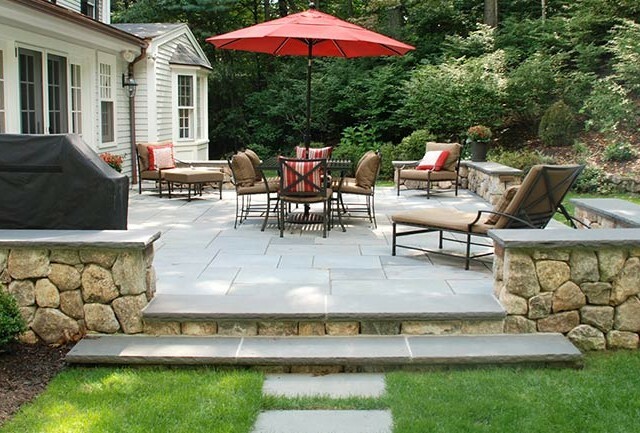 Our Sustainable Landscape Design Solution: A sustainable approach meant preserving, protecting and enhancing the rock ledge. It was a philosophy carried forward from the home renovation where distinctive elements were preserved during the update. 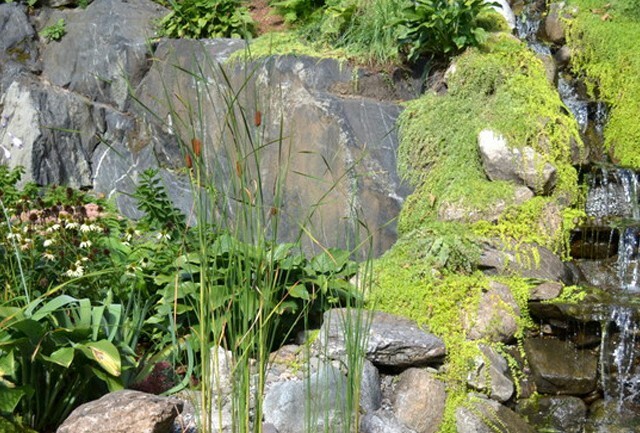 Patricia Dunn designed a cascading waterfall rock garden using the crevices in the outcropping and plant material that would attract and feed pollinators. Process: Clear away the considerable overgrowth and invasive species to reveal a blank canvas, dig a pond and add a waterfall. Since the area could not be irrigated, we chose plant material that could survive the elements including drought tolerant and native perennials, and small shrubs. Goal Achieved: Once an eyesore, the craggy, sheer and uninviting canvas has been transformed into a stunning backyard oasis for people and pollinators. A cascading waterfall rock garden replete with drought tolerant and native perennials, and small shrubs is a lush and serene habitat for birds and beneficial insects. Koi and a family of frogs live in the pond, and butterflies, finches and other pollinators visit throughout the summer. The waterfall rock garden is a joy to behold from the patio and walkway below, and large stone staircase traversing the height of the rear property. Award Winning: The gardens received the Penny Jarvis Lovely Garden Award from the CT Federation of Garden Clubs in 2015.